After moving from an apartment to a quaint duplex in the gorgeous Zilker neighborhood, the Silapachai's needed some help getting re-inspired by their new (and smaller) living room. The original footprint of their furniture just didn't quite transition into the new space as well as they were hoping... So, they enlisted my help and we went to work to develop a Spruce Kit design that would create a functional space for entertaining! Some of you may know Catelyn from @thedistillerymarket, her online vintage shop where she features one-of-a-kind jewelry inspired by literature and antique home goods. So needless to say, she has a great sense of style! And as a result, this was a really fun room to design. 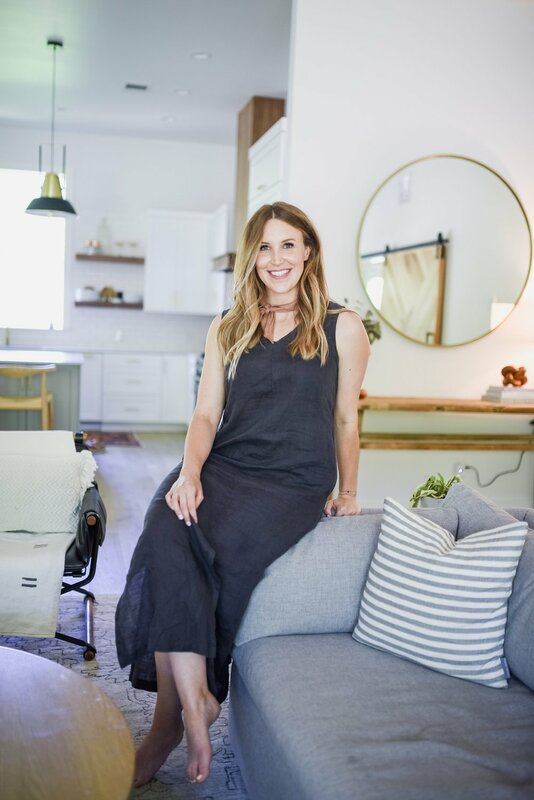 Her and her husband both LOVE vintage, so their design goal was to create an warm + eclectic space that pulled in a variety of different textures, tones and generational styles. To get started, we all collaborated on their private Pinterest board together for the first week, while I began searching for ideas. 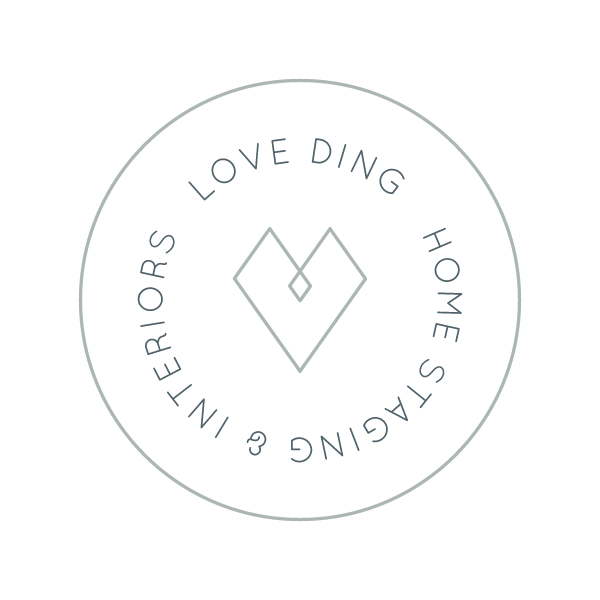 You can see from the captions on each "pin" that this process really helps me get a real sense of my client's style preferences, and what they envision for their new space. Although the inspiration for this spruce was vintage and eclectic, both of them still wanted the room to feel somewhat minimal. So, one of my goals was to give them ample seating without overwhelming the space. It was also important to me for the room to have a "collected" vibe. Catelyn and Komson both love to travel, and I wanted to make sure the had space to feature the unique treasures they've found along the way. I recommended they have a custom shelving unit put in between the weird nook that connects their living room to their kitchen. It was more or less wasted space, so this piece provides them the necessary storage space for books, knick knacks, and various collected items. If you're curious where you can find some of the beautiful, vintage-inspired furnishings from this design, check out the Resource List I've included below. And... if you're vintage-obsessed like me, and love the thrill of the hunt... you should definitely check out Catelyn's Round Top Trips. She essentially takes you and a few friends on a guided treasure hunt for the day during Antique's Week (which happens each Spring and Fall, and is basically one of my favorite times of the year) to find whatever it is you're looking for, complete with a picnic lunch. Highly recommend! 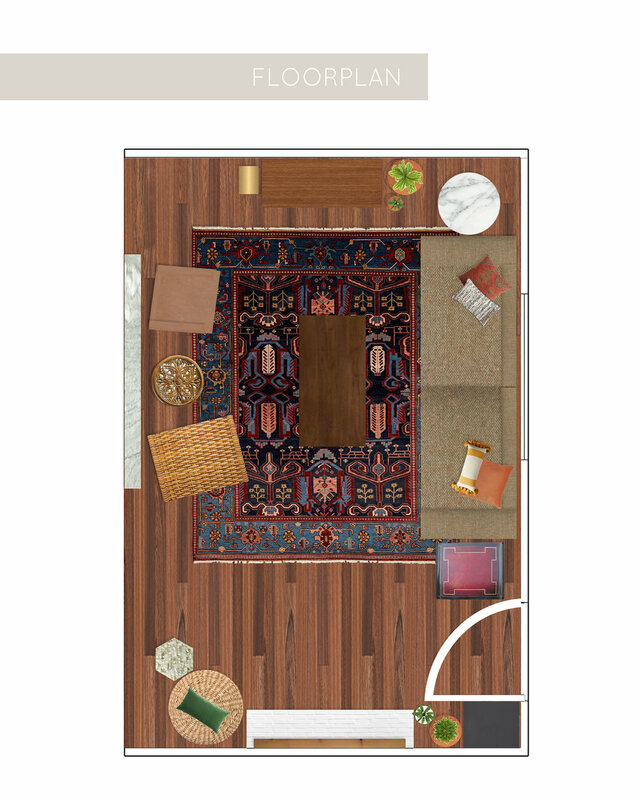 What do you think of this eclectic living room Spruce? I'd love to hear your thoughts in the comments!